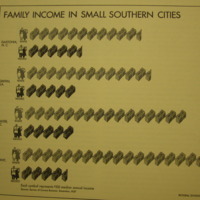 This pictorial statistic compares the income of white and black families in different Southern cities. 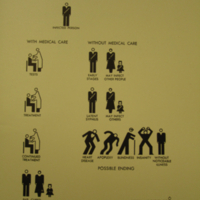 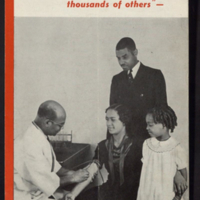 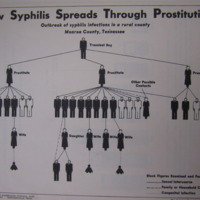 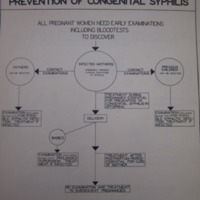 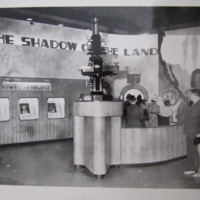 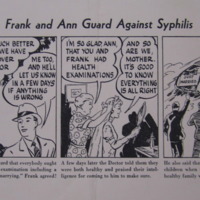 It is from a reprint of Parran's article in Survey Graphic on syphilis, TB, and African Americans. 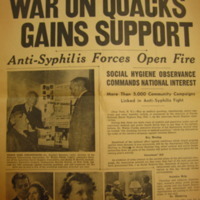 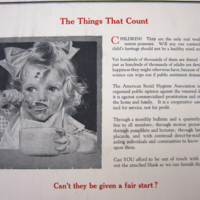 "Learn How to Protect Your Family and Community From Them"
This poster shows syphilis and gonorrhea bombs falling on a community and encourages audiences to participate in the fight against them. 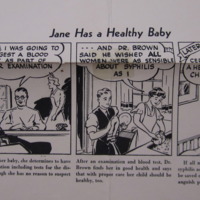 "Fell'as You Bet I'm Going to Think--"
"Every man dreams of a healthy family! 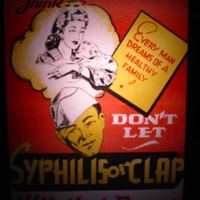 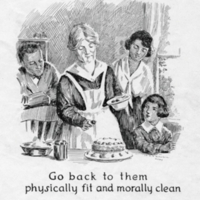 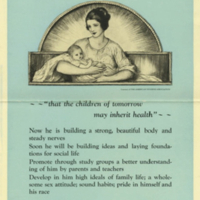 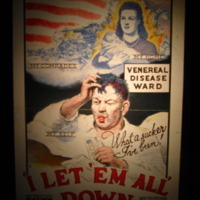 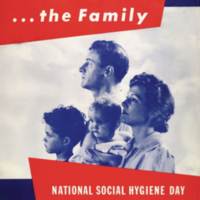 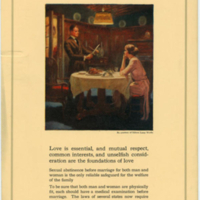 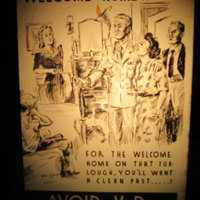 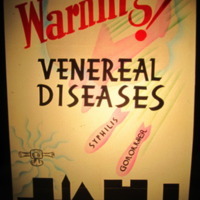 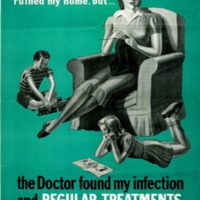 Don't Let Syphilis or Clap Kill that Dream"
This poster appeals to servicemen's concerns about family, warning that VD could threaten their future plans. 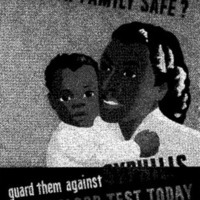 It features an image of a young woman and a baby.